Abilify is an antipsychotic drug that is intended to treat mental and mood disorders. Despite being on the market since 2002, it has recently been brought to light that it could cause severe side effects involving compulsive actions caused by an imbalance in the reward system in the brains of patients. Some of these side effects were not mentioned by the manufacturer or were kept off the warning labels for some years. Only when medical studies proved a correlation did the Food and Drug Administration (FDA) step in and issue a warning and mandate a change on the label. Of course, those who suffered ill effects and brought incidents and harm onto themselves or their families should be aware that they can receive compensation for what the drug caused them to do. Our team of attorneys at the top-rated Kenmore Law Group in Los Angeles, California, is here to represent patients who were victims of the side effects of Abilify, such as compulsive gambling and other actions. Abilify, an antipsychotic medication manufactured and distributed by Bristol-Myers Squibb, became the top-selling drug of its kind shortly after its release. It is used to treat depression, borderline personality disorder, Tourette’s syndrome, bipolar disorder, schizophrenia, autistic disorder, and other mental illnesses. These mental illnesses are usually the result of an imbalance in the brain; bipolar disorder, for instance, features periods of highs (commonly called mania) and lows (depressive states). The drug seeks to establish a neutral ground to prevent either extreme from occurring. It essentially affects the release of dopamine. However, these are primarily the disclosed side effects present on the warning labels and in marketing campaigns. Some studies showed that there were also intense urges and the inability to control these urges, such as compulsive gambling behaviors, drug use and addiction, hypersexuality, compulsive spending, theft, and more. If these actions are not completed, suicidal thoughts and violent behaviors may arise. It is important to note that in the studies, none of those who exhibited symptoms of pathological gambling had a history of the behavior. It was thus concluded that Abilify does, in fact, cause compulsive gambling and other urges. In order to understand compulsive behavior and the satisfaction of these compulsions, you must understand that the outcome of the action does not matter. The act of gambling or stealing a piece of merchandise from a store is enough to satisfy the urge, but once the urge is gone (even with the acquisition of winnings, profits, or an item – or the loss of money and impending punishment), the action must be completed again. One of the many issues with remedying the side effects of Abilify is the amount of problems that go unreported, and thus no link can be established between the compulsive action and the drug. If you believe your compulsive gambling can be attributed to your usage of Abilify, contact an Abilify gambling lawsuit lawyer today. Compulsive gambling is a side effect of Abilify that can wholly destroy lives, and not just the lives of those taking the medication. The effects can stretch to family members, friends, business associates, and more. There is a large possibility that those compulsively acting on gambling urges will drive a wedge between themselves and their significant others, leading to divorce and separation. The addiction may lead to stealing from friends, which can result in ruined relationships and the potential for jail time. It may also impact job performance and create an atmosphere of distrust. It is usually apparent when an individual is addicted to gambling. He may have trouble controlling his habits and will indulge in all forms of gambling possible (whether at casinos or online poker games), and he will hide how much money he is actually gambling away or how much debt he owes. Further, he may gamble borrowed money and continue to do so when he cannot afford to lose any more. Bringing up the discussion or commenting on the apparent behavior may lead to outbursts and aggression. When people partake in compulsive gambling, they often suffer weight fluctuations, visible signs of fatigue, anxiety, sleep deprivation, depression, and more. If you notice these trends in a loved one’s life, or if you are taking Abilify and begin to succumb to these compulsive urges, you should immediately seek medical help to decrease the dosage or cease taking the medication altogether. Once you have gotten off the drug, you should contact an Abilify compulsive gambling lawyer to help you take legal action. One of the most problematic aspects of Abilify’s distribution is its inconsistent warning labels. It contained notice on its labels that there could be hypersexuality, insomnia, and other side effects, but compulsive gambling and other such issues were not listed – at least, not in America. European and Canadian warning labels were both changed to reflect the connection between Abilify and compulsive gambling, and America followed behind by a few years. The FDA issued a statement describing the link between the drug and the effects, but Abilify did not provide an adequate warning on its label. There were attempts to keep the warning off the label by including it elsewhere, and though it eventually made it onto the bottle itself, it was still not a “black box” warning, which displays the warnings most prominently. There is a chance, therefore, that individuals will still miss the warning due to it not being completely apparent. When faced with damages from side effects of Abilify, patients may not know the best choice to take legal action. Many believe that, because the medication is prescribed by doctors or psychiatrists, the way forward is with a medical malpractice lawsuit. In general, if a doctor’s negligent actions caused you to suffer injuries (such as if he were to commit a surgical error), you could file a medical malpractice claims. However, because Abilify has problems within itself, you cannot sue the doctor. That is, Abilify’s problems and side effects are due to manufacturing errors, not the doctor’s decision to prescribe you the medication. Thus, you would have to file a product liability lawsuit against Bristol-Myers Squibb. This lawsuit allows you to collect compensation from a business that provided and distributed a faulty product or item that caused you injuries in some way. Design flaw: When the item was created, there was an obvious problem with it that should have been corrected but was not. It was allowed to go into production and testing despite the risks involved. Manufacturing defect: Often, this happens when a machine causes an error in the production process. There may be a certain number of affected items, but not all will suffer the same problems due to multiple outlets for creation. Failure to warn of danger: Items that are unreasonably dangerous or have risks associated with them that most people would not recognize need to have warning labels affixed to them, either on the item itself or on the packaging. The warnings must explain the risks involved with using the product. The argument can be made that Bristol-Myers Squibb did not properly design the drug due to the influx of reports that it is linked to compulsive behaviors. Further, the persistent refusal to provide a prominent warning label could also work against the company. The company may try to deny that its drug was the primary cause of the compulsive behaviors, but in multiple studies, the behaviors were exhibited only when the drug was taken. With no exposure to the drug, or with its reduction in dosage or cessation of intake, the symptoms and actions were not present. The logical conclusion is that the drug was defectively designed and manufactured. To get started on filing an Abilify gambling side effect lawsuit, get in touch with one of our Los Angeles lawyers today. In the state of California, the statute of limitations on product liability lawsuits is two years from the date of the injury or incident. This means that you only have two years to file a claim before you will be ineligible to receive compensation. Dangerous drug lawsuits, however, are slightly different than other types of claims. Because compulsive gambling and participating in such actions can be an ongoing issue that would not be resolved until the connection between the drug and behavior is realized, you may have a lengthy amount of time to file a claim. However, if you elect to join a class action lawsuit, the statute of limitations will effectively vanish; due to how many people are involved in a class action claim, it would be unfair to have everyone adhere to different statutes. Statutes of limitations are in place to ensure that lawsuits will be filed as quickly as possible and will not take years to deal with. If you wait too long, there is a high chance that evidence will become lost or get corrupted and that witnesses will forget key details or misremember events. You may also no longer be in need of compensation if the incident happened many years before. With the help of an Abilify gambling attorney, you could have an extension on your statute of limitations for your lawsuit, assuming circumstances allow you to. If you were under the age of eighteen at the time of the incidents, your time limit may not begin counting down until you turn legal age. Further, if you were mentally or physically incapacitated and could not file a lawsuit after your incident, the statute of limitations would be extended to begin when you were competent. The less likely ways to have the statute of limitations tolled is when the defendant leaves the state (unlikely, due to the Bristol-Myers Squibb being a company) or when a state of war prevents a plaintiff from accessing court. In order for you to collect compensation from a lawsuit, you must be able to show that you were harmed because of Abilify. This can be done by proving that you were owed a duty of care by the company but that duty was breached, leading to an incident and physical harm. However, in cases concerning Abilify, the worsening of mental disorders can count instead of outright physical harm. After you have gone through such issues like debt and altered states of consciousness or mood disorders, you should file a claim against the manufacturer of Abilify. The settlement offer will be determined by a number of factors, including how much of an effect the incident had on your day to day life, the extent of your injuries, and how much your current job and future career opportunities will be impacted. There is no compensation calculator that exists that will allow you to put some numbers in in order to and have a value spit back at you. Insurance agents and lawyers will craft the settlement offer and present it to you. With the assistance of an attorney who handles Abilify gambling class action cases, you can be sure to receive the fairest offer possible. When clients come to us asking questions, we sometimes notice it is because they currently have representation but are not receiving the best care possible. They may have lawyers handling their cases, but these attorneys are out for themselves and are not doing everything they can to accurately represent their clients. Unfortunately, this is not an uncommon occurrence; many lawyers sign numerous clients up and handle them very quickly, often negotiating for as little a deal as possible to hopefully settle your case and move on to the next one. We believe this is a blatant example of bad faith, and if you are currently signed to a law firm that treats you poorly or consistently brings you low offers, call us. We will look over your case and current attorney’s successes, and if we feel you are being taken advantage of, we will tell you. Reach out to a law firm with experience in Abilify gambling addiction lawsuits for a second opinion. Abilify’s side effects could also warrant additional damages, such as recouped gambling losses and the loss of financial stability, loss of consortium, neurological damage, and more. In the event that a loved one or family member passes away due to complications from Abilify, you will be able to file a wrongful death claim. The party that contributed to the death of your loved one should be held responsible for the ensuing expenses; liable parties can be made to pay for funeral and burial expenses, loss of expected savings, loss of expected inheritance, loss of sexual activity, pre-death pain and suffering, pre-death medical bills, and more. Keep in mind that if you choose to join an Abilify compulsive gambling class action lawsuit, you may receive less compensation due to the increased number of plaintiffs who will be paid. Although your chances of success are higher due to the large amounts of evidence, the settlement will be dispersed among all affected parties. You should consult with an Abilify gambling addiction lawsuit attorney before making such a decision. 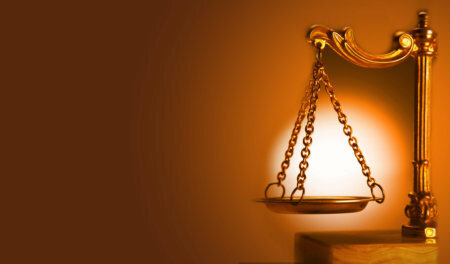 At Kenmore Law Group, we have handled numerous dangerous drug lawsuits over the years. A large amount of cases have been settled with Bristol-Myers Squibb, but few settlement amounts have been made public. We make it a priority to bring you the maximum compensation available under the law; we will not settle for anything less than your most deserved restitution. Our lawyers are empathetic to your injuries and confusion, but we will aggressively pursue your fair compensation from the insurance agency and will not stop negotiating with adjusters until you are satisfied with the outcome. If we still cannot come to an agreement with the company, we will take your case to court and fight for your compensation there in front of a judge and jury. Call our law firm today to set up a free legal consultation with an accomplished lawyer. We will be happy to answer any questions you have about dangerous drug lawsuits and what kind of action you should take. We will give you details about filing a claim and provide you with crucial information so you can make a knowledgeable decision. Further, all of our consultations are completely confidential, and none of your private information will be shared with anyone or anything outside of our offices. 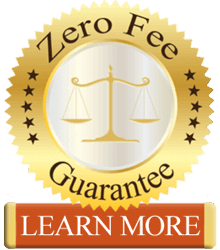 By selecting us to represent you, you will receive our zero fee guarantee on your claim, which promises that you will not pay any out of pocket expenses for our services. We will only get paid in the event we win your case, and the payment will be taken from your settlement. The insurance agency will, in effect, cover your legal bills as well as other expenses. If we lose, however, you will not owe us a dime, and we will cover the costs from the case. Give us a call at Kenmore Law Group to speak with an attorney experienced in Abilify gambling cases.